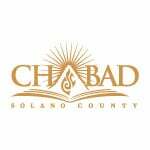 Chabad of Solano County is dedicated to providing every Jew regardless of background, philosophy or level of commitment, an open door environment for strengthening and enhancing Jewish family life. Chabad serves individuals and families looking for an anchor and non-judgmental, accepting, personalized Jewish experience. Chabad is reliant on independant donations and supported solely by our community. And all contributions are invested right here in our community. We value your support! Thank you for partnering with us!